Transform you stock forks from ordinary to extraordinary! 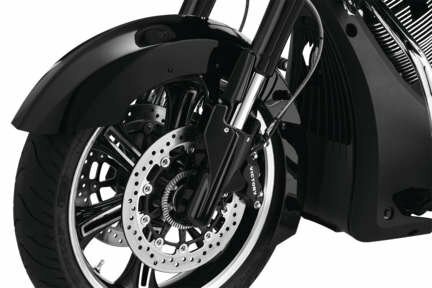 The ABS protective deflector and the stamped metal cover provide an amazing smooth and stylish design to help your bike standout from the crowd. The Lower Fork Covers install directly over the plain lower fork casting with no need to disassemble the forks. Complete the transformation with the addition of Kuryakyn's Upper Fork Shrouds. Available in both Chrome or Gloss Black finishes to suit your individual style.